most influential for the second time and the only Pakistani. This raged the Anti-Malala group a lot and they criticized 'Time' on social media for being biased. The time magazine use to introduce the most influential people around the globe in its special edition and good news for Pakistan is the youngest Nobel Laureate Malala Yousafzai is also enlisted. 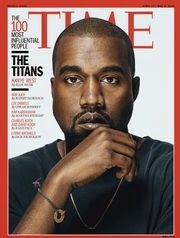 Bradley Cooper and Kanye West have landed on this years’ Time 100 list, and each is featured on one of five Time magazine covers. Ruth Bader Ginsburg, Misty Copeland, and Jorge Ramos also have their own covers. The magazine's annual list of the 100 most influential people in the world is now in its twelfth year. An essay by a prominent public figure is written for each honoree, and this year's pairings include Richard Linklater by Ethan Hawke, Christopher Nolan by Michael Caine, Ina Garten by Taylor Swift, Marie Kondo by Jamie Lee Curtis, Elizabeth Warren by Hillary Clinton and Barack Obama by Joe Klein. While Narendra Modi by Barack Obama. The issue had more than half number of women in it and it’s very interesting to read people from four categories that is Titans, Pioneers, Leaders, Icons and Artists. Others on the list include German Chancellor, Angela Merkel, Chanda Kochhar, North Korea's Kim Jong-Un, Saudi Arabia's King Salman bin Abdulaziz Al Saud, New First Lady of Afghanistan and a labanese Christian Rula Ghani, pioneer or bring back our girls campaign Obiageli Ezekwesili, and Catholic pontiff Pope Francis along many more. Fifty-one selectees were born outside the U.S., ranging from national leaders like Tunisia’s Beji Caid Essebsi to financiers like Brazilian multi-billionaire Jorge Paulo Lemann to artists like the novelist Haruki Murakami. It’s a large and diverse list, hailing from five continents. 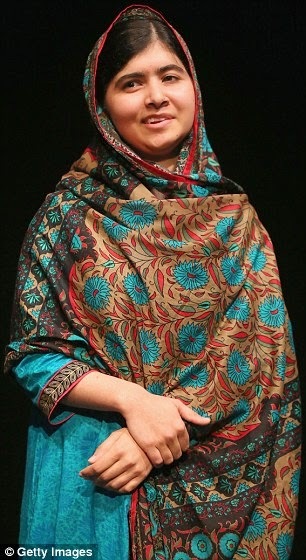 Malala who is the youngest Nobel Laureate, is honored to be included in this list for the second time. She is the only Pakistani in this list.